Low back pain (LBP) is one of the most common complaints in today’s society and is the main reason why adults younger than 45 years old exprience discomfort. Debilitating back pain that continues for more than 3 months are considered chronic. LBP occurs when coordinaton and stablization of the trunk muscles are weak. LBP negatively affects the tunk, including its strength and endurance. As a means to stabilise the trunk, Pilates exercises, which are centered around the core muscles are popular among LBP patients. Most people relate to Back Pain. I have many that approach me trying to find out why but a few want to discover the root of the cause but rather just want a quick fix. The referral pain (area where you are experiencing the pain) is not where the root of the problem is. To understand why, we need to look at the body as a whole. Pilates is a full body conditioning program focusing on alignment, strength. We start from the feet and work our way up when working on alignment. The breathe is an essential part of the work. 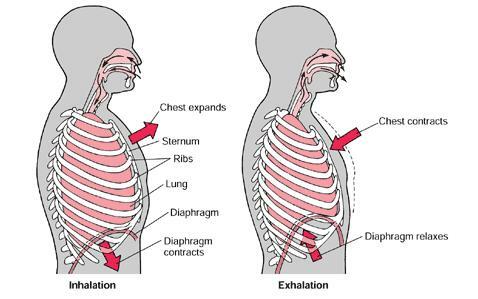 Pilates breath, ‘Lateral’ breathing technics help us to recruit the core muscles during exertion if done correctly. The causes to ‘Back Pain’ can be various reasons together. Today we mainly concentrate on the pelvic girdle alignment. If you relate to any of this, contact us today and book in a FREE 20mins Telephone consultation. Good functionality of your Pelvic Floor is affected by your posture. Great Pelvic Floor function is linked to your Diaphragm and Pelvic Floor lifting and lowering at the same time when you breathe. TVA ( Transversus Abdominus Muscle (deep abdominal muscles) are linked to your Pelvic Floor. There is too much info to share with you on this subject. At the Hope Centre, We will be holding a Donations only Workshop Friday 29th Sept after am ‘McMillans coffee morning which start is 7am. Especially if you have had a child, struggling with incontinence, had trauma in this area, you can not afford to miss out on this workshop! Which one looks ‘healthy to you?’ find out the right answer, during the workshop. Learn simple everyday exercises to help you achieve a healthier happier PF! Doctors have probably missed what’s really causing pain and stiffness in your back. Don’t just live with the discomfort and cut back on your activities. Hope Pilates can help you get to the main source of the pain to give you back the mobility you once had and get you living PAIN FREE. Join us TODAY!